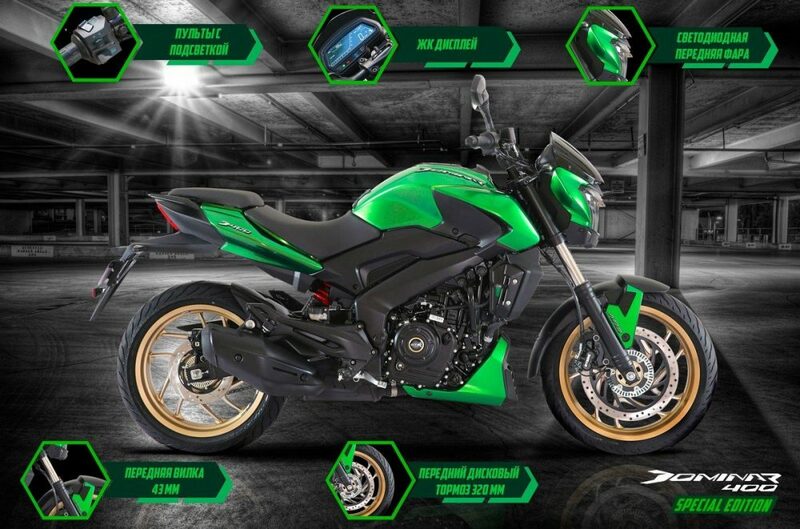 Bajaj Dominar 400 Ninja Green Edition is now officially available in Russia. The limited period model is exactly similar to the Indian version mechanically, leaving the difference to just visual enhancement for the flagship Bajaj motorcycle. The new shade is evenly divided between the fuel tank, front fairing, side panels, and belly pan. The Indian version is still only available in Canyon Red, Glacier Blue, and Rock Matte Black. All the shades are sold with the same golden alloy wheels and huge front 320mm disc brake. Dominar is the most value for money product around its price point. 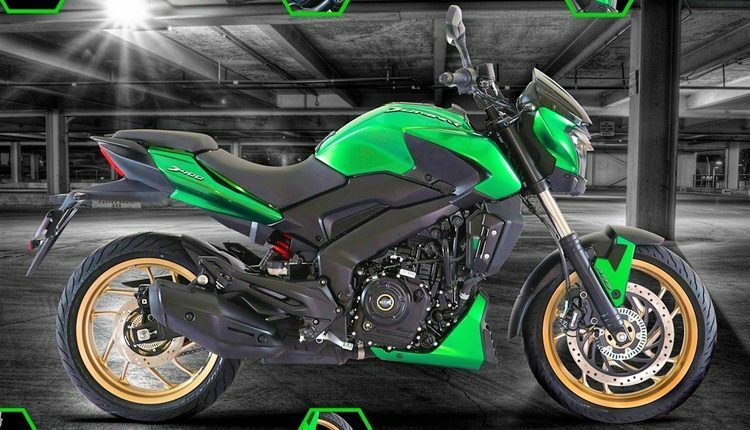 Bajaj Auto is expected to launch the 2019 Dominar with a host of added features like USD front forks, updated ECU for more performance, different exhaust and addition of ride-by-wire. The last feature may not be as practical for a motorcycle like Dominar as total product price will see a considerable rise for sure. Bajaj Dominar 400 with dual-channel ABS costs INR 1.62 lakh presently. The addition of all these components will easily take the price close to INR 1.80 lakh. The 373.2cc, single-cylinder, liquid cooled, and fuel injected engine on the bike is good for 35 HP and 35 Nm.